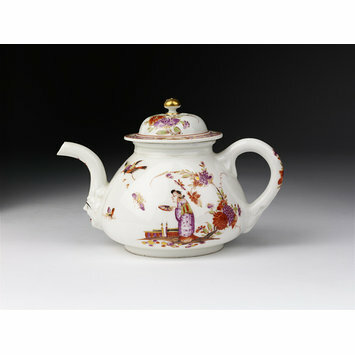 Teapot with cover of hard-paste porcelain. Squat shape; loop handle with leaf-moulded ends; strongly curved spout spring from a grotesque mask with features in black and red. Domed cover with gilt ball knob. Painted with Chinoiserie figures, Indian flowers, birds and butterflies. Cover painted with Indian flowers and an border of Japanese-style diaper and flower ornament in colours and gold. 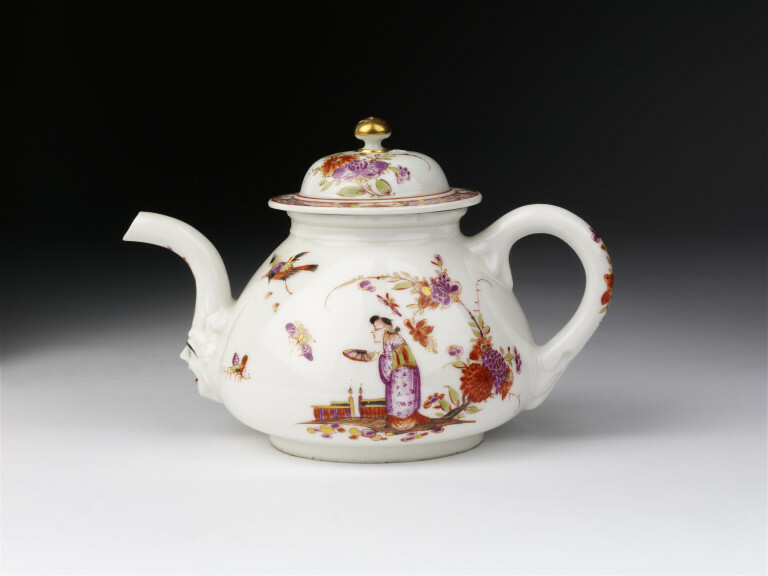 Teapot with cover, hard-paste porcelain, painted in enamels and gilt, made by Meissen porcelain factory, Germany, 1725-1727.